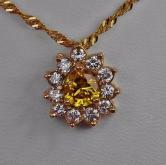 Clarity VVS Top clean Diamonds! 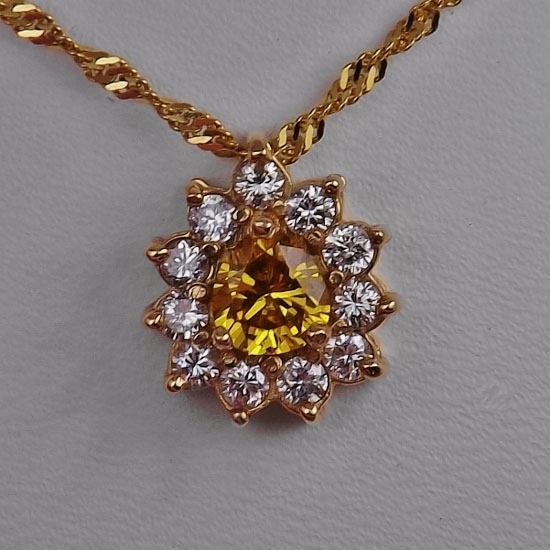 Note: Bright, clean and natural fancy color Diamond set in a 14 karat yellow gold pendant and surrounded by approx 0.70 carats of clean white diamonds. 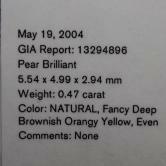 The fancy color Diamond is GIA certified and the certificate comes with the stone. No clarity enhancements or other such nonsense. 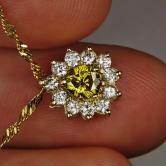 Just a rare opportunity to own a beautiful and natural Fancy Color Diamond at a great price! 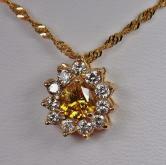 Photographed in natural and incandescent light.